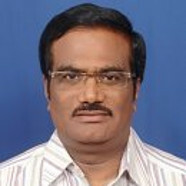 Appa Rao Podile, University of Hyderabad, Hyderabad, elected to Fellowship in 2015. Podile is interested in plant–microbe interactions. His research group focuses on molecular interactions of rhizosphere bacteria with plants. In the past decade, domain shuf- fling/swapping of recombinant bacterial chitinases, bioprocess development for production of chitooligosaccharides by enzymatic methods, mechanism of elicitor (harpin) induced cell death, nanotechnology for crop protection, and non-host resistance have been his major areas of research interest. He is a recipient of Tata Innovation Fellowship from DBT. Plants interact with a wide range of pathogens and have evolved mechanisms to recognize pathogen-derived molecules to elicit induced resistance. Unlike vertebrate animals, plants rely solely on innate immunityto ward off pathogenic microbes. The plants are able to sense evolutionarily conserved general elicitors of pathogens called pathogen-associated molecular patterns, and activate immune responses, a process that is known as pathogen-triggered immunity. Chitooligosaccharides (COS), released during plant fungal interaction, elicit plant defense upon recognition. In this talk, the progress made towards understanding the mechanism of COS sensing in plants and on the application of chitin/chitosan/COS in disease management would be focused. As the plants are able to recognize the chitin/chitosan oligomers and activate defense responses, there has been an increased interest in the use of chitin and chitosan in agriculture. Transglycosylation (TG) of short chain COS resulting in long chain COS, with the use of chitinases, holds promise. To realize such a potential, sources of chitinases have been identified in our lab. The talk would cover the efforts made in our lab to understand/improve TG by selected bacterial chitinase(s) with an interest to generate longer chain COS.